Christmas hasn’t arrived yet, but already small businesses and freelancers have to plan for the New Year: that’s right, with 2017, there are some important New Year’s resolutions small business owners and freelancers need to make. These resolutions will help you to become a better, stronger business person in the new year going forward. They cover personal as well as professional details you need to take care of to make sure that you succeed more in 2017 than you did this year. So let’s look at 11 of the must-have New Year’s resolutions small business owners and freelancers need to have. No matter how productive you are, you know that you can become more productive. This can affect both the freelancer and small business owner, although when you are working with others (small business owner), it becomes less of a problem, but a problem nonetheless. First, you need to identify the problem areas: what are your weaknesses? Is it social media? Obsessive email-checking? A lack of prioritizing? Irregular sleeping habits? Blurring the lines between your personal and business lives? When you can identify your problem area(s), then you can work on finding ways to decrease or eliminate them. If it’s social media or email, set only a specific time to check those, for example three times a day at 30 minutes each time. For prioritization, write down a list each morning of things which you want to accomplish that day, and do those first, no matter what. No matter what urgent situation, they can wait a few hours while you accomplish your daily tasks. Go to bed by 11 and sleep at least 7 hours, 8 even better. Set a firm cut-off time for business, so that by 6pm or 7pm you won’t be able to talk or think about business. If you feel that you are quite influential in your circle of connections or network, you’re still probably not the highest influencer. This means that your brand is not at the strength that you can take it to. Working on your brand means that when people need your type of service, they think of you and your business immediately. Working on you brand is both easier and more difficult with the advent of social media. It is easier because you are now able to spread your message far and wide, and essentially for free. However, it is more difficult because lower barriers to entry always mean more competitors. So you’ll have to do a lot more to stick out and get ahead of the pack. It’s important, however, to set attainable goals when you try to increase your brand. Getting 100,000 Twitter followers and being featured on the cover of Time Magazine are great goals, but probably something you should aim for achieving later in your career. Start off by going for 2,000 followers and guest posting on some respectable sites and work up from there. No, not the physical kind. This means that you should aim for cutting back on expenses. There is always a way for you to trim the fat, to lose the weight, and you can do so creatively without sacrificing quality. First, divide your expenses into wants and needs and then ask yourself: how many wants can you cut back on? A phone is a need, but the newest iPhone isn’t. The same goes for your cars, or computers, and most electronics. For freelancers and startups, instead of renting office space, you can look into coworking spaces. But also, rather than purchasing software, there are many free alternatives. Instead of Photoshop, there’s GIMP or Pixlr Editor, instead of Word there’s OpenOffice or Google Sheets, and many, many others. 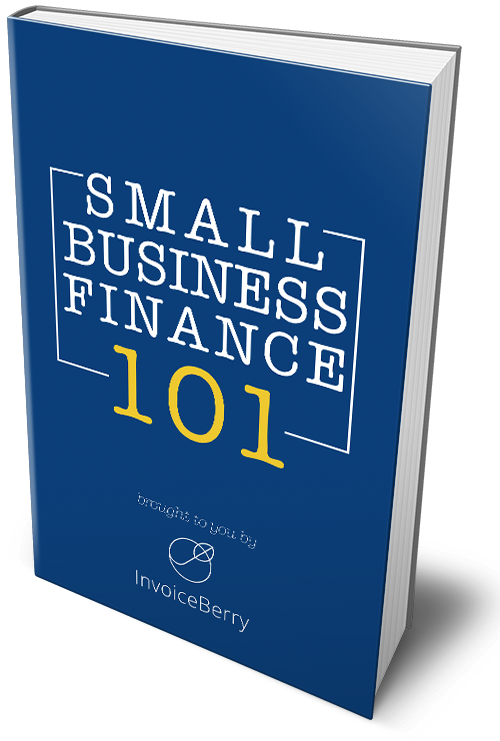 Instead of expensive and complex accounting software, InvoiceBerry even has a Forever Free account, which as the name implies is always free. If you look and think hard enough, you’ll find many ways to cut back on your expenses and become more lean. This one is difficult and scary for both small businesses and freelancers: with the market the way it is (isn’t the market always that way? ), how can I raise prices now? If anything, I should be giving discounts, discounts everywhere. Well, although that seems like a logical step, price is also a reflection of quality. For many, low price equals low quality, and the opposite is also true: that when you raise your prices, you’re seen as an industry leader in high demand. This will have the effect of both increasing your revenue, but also giving you more motivation for your products or services. This is especially true for freelancers who offer too-low prices in an attempt to be competitive, but then get overwhelmed by a lot of work for very little money. Assess the competition, discuss with peers in your field, go online to industry-specific, insider forums and lastly determine what quality your products or services are. Then adjust your prices accordingly. Even though it’s almost 2017, it doesn’t mean that customer service is dead. No matter how amazing our automated systems are becoming, humans still love the human touch, and you can give your product or service more dimension and loyal customers by improving your customer service. This means being polite, optimistic, and quick and effective in your communication. This also means improving your communication in general by identifying and minimizing weaknesses. One fantastic way to do this is to survey your current customers on your communication style. Although you’re probably aware of what your problem areas are, you may not be aware of the hidden ones that are only visible to your clients. You can never stop learning. In fact, as a small business owner or freelancer, you’re probably aware that there are so many things about your own work even that you don’t know. So why be complacent? One of the best New Year’s resolutions is to identify a necessary skill or knowledge you miss and work on acquiring that either through courses or some hands-on practice. This doesn’t even need to be through formal training only. There are so many books and online resources available nowadays (even free ones), that you can learn virtually anything about your business. If you switch your mind this year to becoming a student again, you can change your habits and become a learner in everything. This will help you deliver better services and become much more efficient. Sometimes, the saying “It’s not what you know, but who you know” is still true. Many small business owners get so caught up in their own businesses that they forget that there are other small business owners in the same industry that don’t have to be competitors. Or they can be competitors, but still be exceptionally helpful to your business by offering advice and even contacts. For freelancers, they can often fall into the trap of becoming isolated. Because freelancing is by nature working alone, they can get involved in their work in the comfort of their own homes or coffee shops and go days without talking to other people in their industries. One way to remedy this is to perhaps look into going to coworking spaces, which will help not only get great networking and support, but also a cheap and productive place to work. There are also many industry-specific events, such as conferences, that are held every year in nearly every field and niche. Attending these events will allow you to connect with people who share your interests and may help you in your business. It’s common, after the joy of quitting your past job or starting up your own business, that the difficulty and responsibility become overwhelming. This is a common condition for all businesses in general, but it affects small business owners and freelancers especially. Stop every once in a while and try to remember why you’ve started doing this in the first place. You may also need to reconsider, if you’re a freelancer, what type of jobs you’re taking, if they’re going towards or away from your passion. Small business owners can identify the direction of their businesses, review their original business plan and determine how to revive their passions through their work. Don’t burnout. That usually happens for many reasons, but some of the biggest are related to just working too much. This is because of a lack of prioritizing, lack of productivity, or just blending everything together. If you mix your business into your personal time, chances are you’re mixing your personal time into your business as well. This lowers productivity and you can never relax because you’re always aware of something that you’re late on. It’s important to get out of this cycle and take a break. A real break. A vacation. You don’t need to dramatically throw your phone into the ocean or anything, but you do need to cut back the business-checking for a few days at least. Even a weekend will refresh you, but perhaps 7 days will be better. You will be reenergized in your business and find your motivation and productivity increasing as well. This is one of the most important (and fun) New Year’s resolutions. When you take care of your business and responsibilities, you should also be taking care of your business financial responsibilities. This is very important because once you understand the important finance documents (profit and loss, balance sheet and cash flow statement), you’ll be much more aware of the financial position your company or freelance business is in. This means that you can be much more proactive in setting attainable, realistic goals for yourself. This will also help you in cutting back on your business costs by identifying areas of your business that aren’t working. Because the business is yours, getting a better grip on your business financials means you’ll get a better grip on your business in general, and that’s a very good thing. The very best of the New Year’s resolutions is this one: these things should be New Year’s resolutions at all. I don’t mean that you shouldn’t be doing them. Instead, what I mean is that you shouldn’t wait for the 1st of January to start improving your business. You should get on this today! You can begin getting a good night’s sleep tonight. It’s possible to begin educating yourself today. You can begin setting your daily priority tasks today or tomorrow morning. You can look over your calendar and set a vacation time today. All of these things are possible today, and the calendar shouldn’t affect your goals at all. The best time is always now. The problem with New Year’s resolutions is that they mostly fail miserably. People make grand goals and expectations in the first week and before February even rolls around, those dreams are done. Instead of that, try to do one of these things each day, or each week. Instead of starting fast and hard, start strategically. But however you start, you should start today.